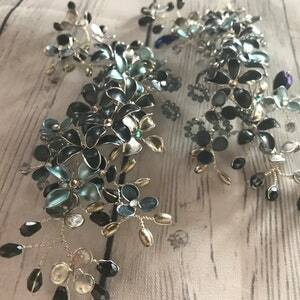 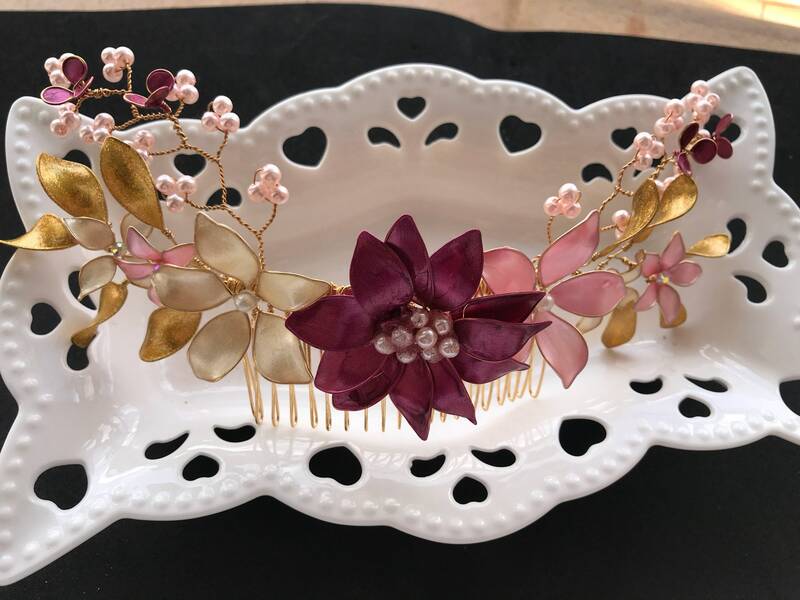 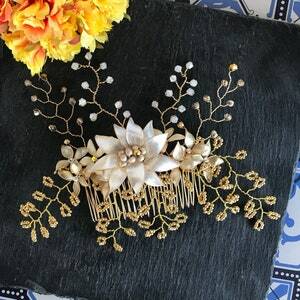 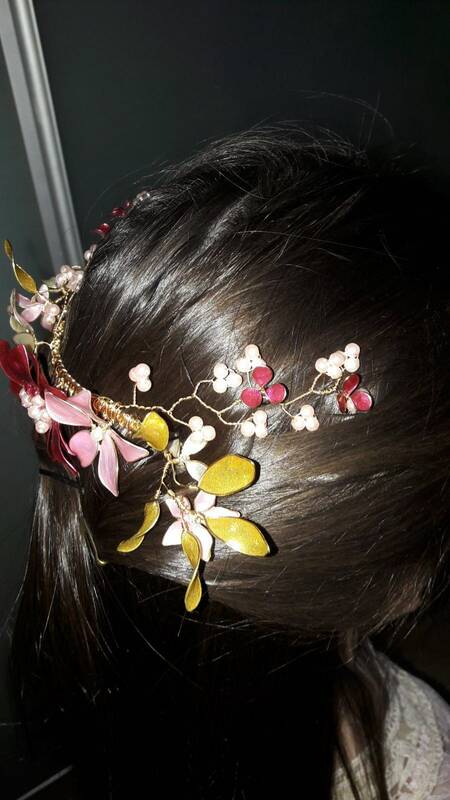 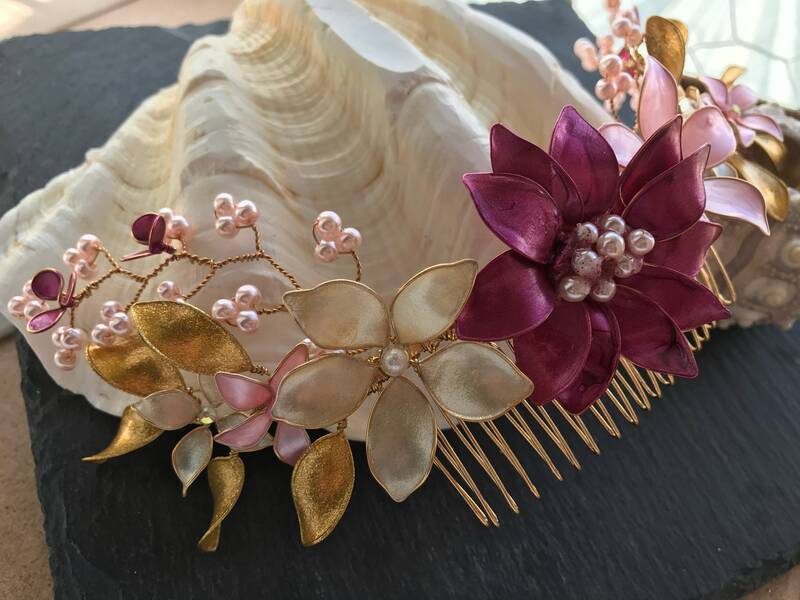 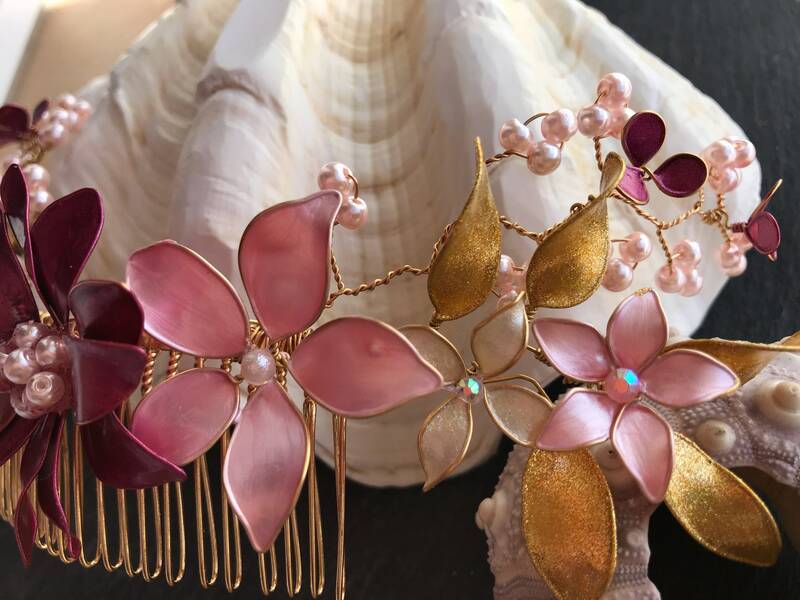 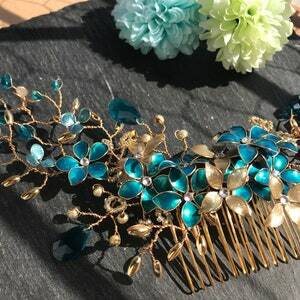 Set of flowers in gold, Rose and Bordeaux, combined with pearls of jewellery, all mounted on a small comb. 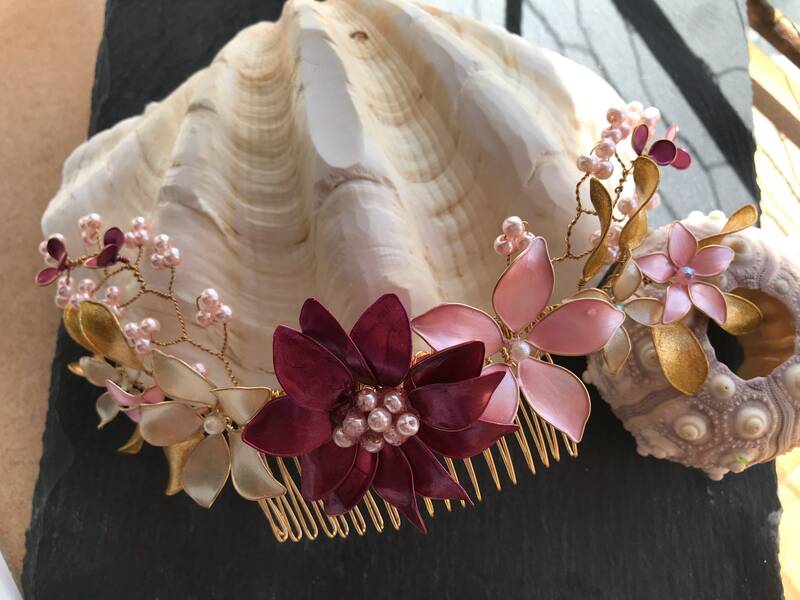 Designed for timeless use, being a half-crown serves girls and adults. 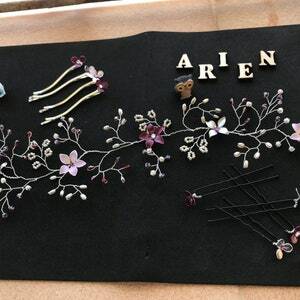 You put the dress and Arien & Co the accessory.